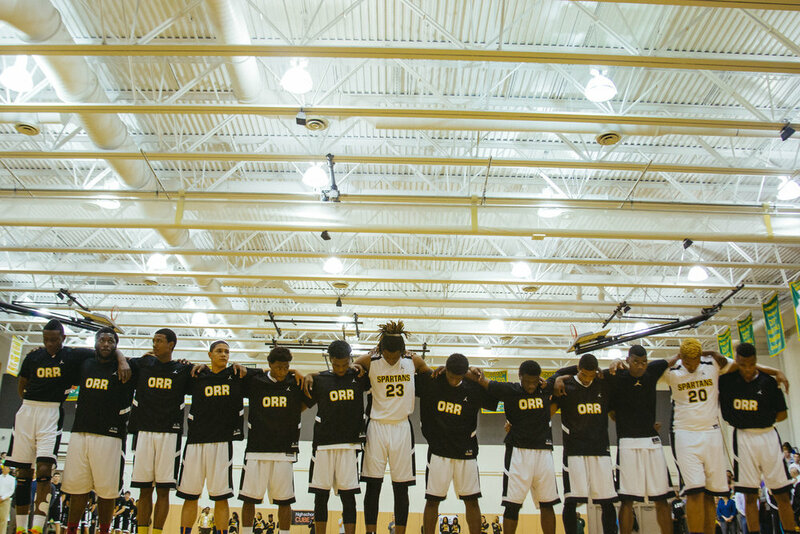 Chicago harbors many scars for Orr Academy’s basketball team. There’s the abandoned house where Tyquone’s friends were murdered, the corner where Coach Lou was shot, and the alley where Marquise was arrested for gun possession. Dustin is an Emmy nominated filmmaker born in Chicago and now based between Miami and Brooklyn. He has directed short documentaries on Jay Z and Robinson Cano. He worked as the creative producer at Sports Illustrated for their Emmy nominated film 89 Blocks, Executive Produced by Lebron James. He is a Fellow of Film Independent’s Documentary Lab as well as a recipient of the Sundance Institute | ESPN Films award and EFILM/Company 3’s Feature Film Grant for his directorial debut film, Shot in the Dark. The film was nominated for Outstanding Long Form Documentary at the 40th Annual Sports Emmy Awards. Shot in the Dark is executive produced by Dwyane Wade and Chance the Rapper and was released in Feb 2018 on FOX/Fox Sports. He most recently produced the third season of QB1: Beyond the Lights for Pete Berg’s Film 45.. Dustin is a co-founder of the production collective Bogie. Daniel Poneman is first and foremost a basketball scout. 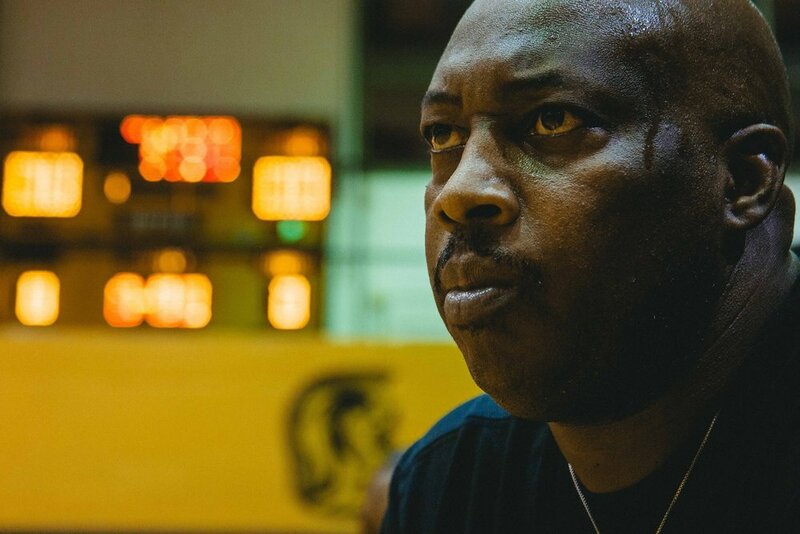 Starting at the age of 15 he began connecting high school players to coaches. His exploits were covered in Sports Illustrated and the NYTimes. A Chicago native himself, Daniel has witnessed the challenges the city is facing. This film is his chance to give back to the communi- ties and families that have embraced him throughout his career. Daniel Dewes is a director/producer with a BFA from New York University’s Tisch School of the Arts. His career started working with Jay Z’s Life + Times, doing short form documentaries featuring Jay Z, Kendrick Lamar, Justice, BMW, and Jordan Dunn among others. While producing commercials for Converse, Coach, Hermes and Western Union, Daniel produced the film I Am Giant for Showtime, directed by Gotham Chopra, with whom he has continued to collaborate on a series for ESPN following David Ortiz’s last season with the Red Sox. Along with Shot in the Dark, a feature documentary following a high school basketball team in Chicago’s West Side, Daniel’s production company, Bogie Films, is developing the feature film The Giant, a psychological horror film set in rural Georgia, which is rep’d by UTA and Insiders. He is a proud Film Independent Fellow, and a Pisces. Derek Doneen started his career as Participant Media’s first in-house filmmaker, directing award-winning video content for Starbucks, American Express, and the Gates Foundation. He met Davis Guggenheim while creating ancillary content for Waiting for Superman, and soon after, the two began a formal partnership. Derek produced Guggenheim’s film The Dream is Now, directed Spent: Looking for Change and edited a short documentary about President Obama for the 2016 DNC. He edited “Kobe Bryant’s Muse” for Showtime and is currently directing a feature-length documentary about 2014 Nobel Prize winner Kailash Satyarthi, produced by Guggenheim and Participant Media. Ben Vogel is from Evanston IL, graduated with a BFA in Film Production from Savanah College of Art and Design, and is currently living in New York City. From 2012-2016 Ben worked for Scheme Engine Productions as a DP and worked on successful music documentries for artists such as Kygo , Pentatonix and Jay-Z. In January 2017, Ben moved on to start his creative company, Home Alone Studio, LLC, for which Ben is a photographer and art director. Greg O’Toole is an Emmy-nominated editor whose feature documentaries have screened at festivals around the world and premiered on PBS, ESPN, National Geograph- ic, and others. Recent documentary features include AN HONEST LIAR which premiered at Tribeca in 2014, the Emmy-winning AFTER TILLER (Sundance 2013), BETTER THIS WORLD, which was nominated for three national Emmys including Best Editing (POV), and THE TWO ESCOBARS called “a miracle in editing” by IndieWire (Cannes/ ESPN). His latest two films, THE RETURN and HAVEABABY both premiered at Tribeca in 2016. Los Angeles Media Fund (LAMF LLC) is a full-service entertainment production and financing company. Employing in-depth market analysis and with a keen eye on risk mitigation, the company focuses on opportunistic investments in the entertainment sector. The Department of Motion Pictures produces narrative and documentary features as well as a variety of short-form work, with with a focus on ambitious, cinematic, and emotionally resonant storytelling. Over the years, members of the Department of Motion Pictures have produced BEASTS OF THE SOUTHERN WILD, Laurie Anderson’s film HEART OF A DOG, the Sundance and SXSW award-winning documentary WESTERN, the Vimeo season of HIGH MAINTENANCE, and projects in collaboration with ESPN, Time Magazine, and David Byrne. The company’s latest feature PATTI CAKE$ premiered in U.S.Dramatic Competition at Sundance 2017. Though the Department of Motion Pictures was officially established in 2015, its founding members have a history that involves digital, media and grassroots work on the 2008 and 2012 Obama campaigns and running the Court 13 collective, making movies together since 2007. In 2015, Court 13 evolved into two new, distinct, but related organizations: a non-profit Louisiana community arts wing called Court 13 Arts and a production company wing called the Department of Motion Pictures. Sign up to receive updates on Shot In The Dark from the film team. We've been nominated for Outstanding Long Sports Documentary at the 40th Annual Sports Emmys! Our first reviews are coming in hot! VILLAGE VOICE CALLS IT A "VITAL, INTIMATE SNAPSHOT"
Lebron James talking about SHOT IN THE DARK. All hail THE KING! We are excited to announce SHOT IN THE DARK will be premiering as part of MAGNIFY, Fox Sports new documentary series. New interview on Film Independent about documentary post production as well as the grant we received last year for color finishing at EFILM/Company 3. We are proud to announce that Shot in the Dark will have it's world premiere as the opening night film at Camden International Film Festival.